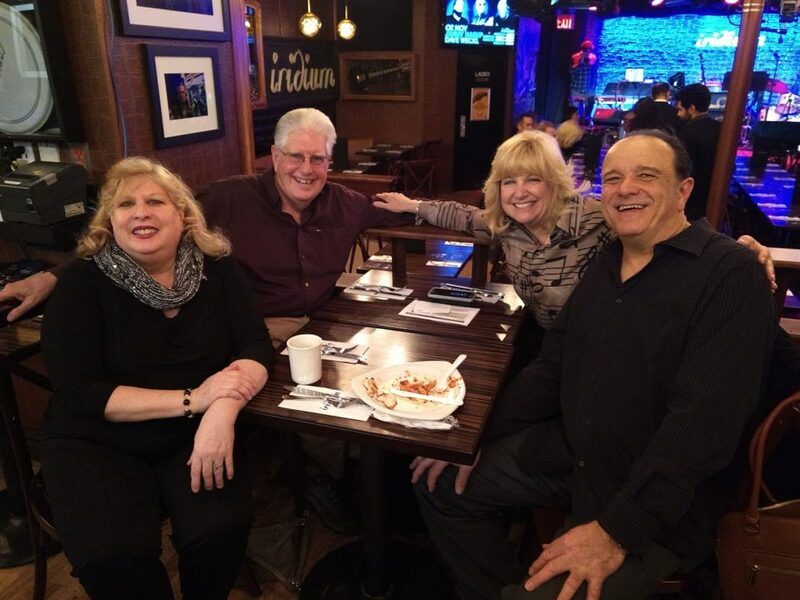 Last Saturday night Joanne and I ventured into NYC to see our friends Rob and Sandy Paparozzi at the Iridium, a music club made popular by Les Paul, who had a Monday night residency for many years, until his death at age 94 in 2009. 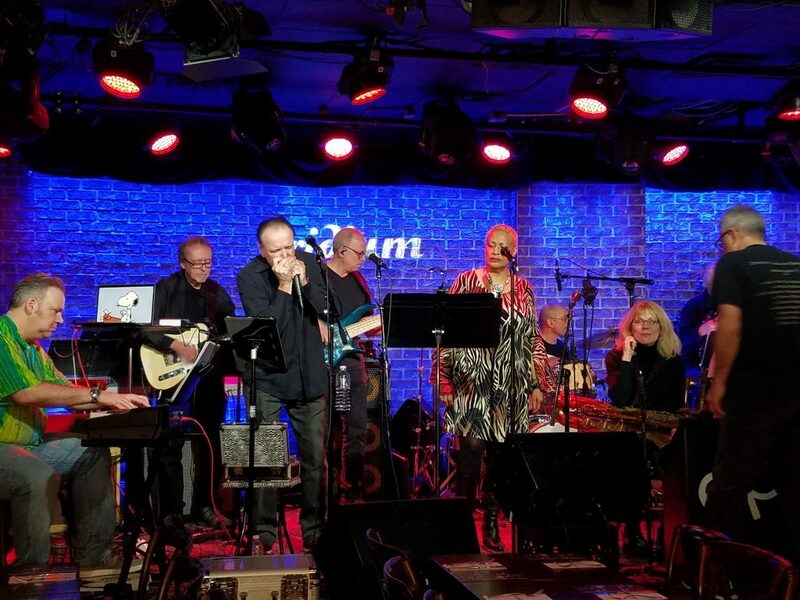 Rob was the featured artist, backed by the sixteen piece Ed Palermo Big Band and singer Vaneese Thomas. We arrived at six thirty for the eight thirty show and were invited down to the sound check which was a private show in itself. The music ranged from selected cuts from the CD “Electric Butter” they released in 2014, showcasing the songs of Mike Bloomfield and Paul Butterfield. Highlights included “Killing Floor” by Howlin’ Wolf as performed by the Electric Flag and Nat Adderly’s “Work Song”. A montage of Todd Rundgren songs crafted around “Hello It’s Me” was perfectly matched to the vocals of Vaneese Thomas. She also did a wonderful rendition of “Anyone Who Had a Heart”, made famous by Dionne Warwick. Throughout the night, many songs were punctuated by impressive solos by the eight-piece horn section, and George Naha shined on the guitar. 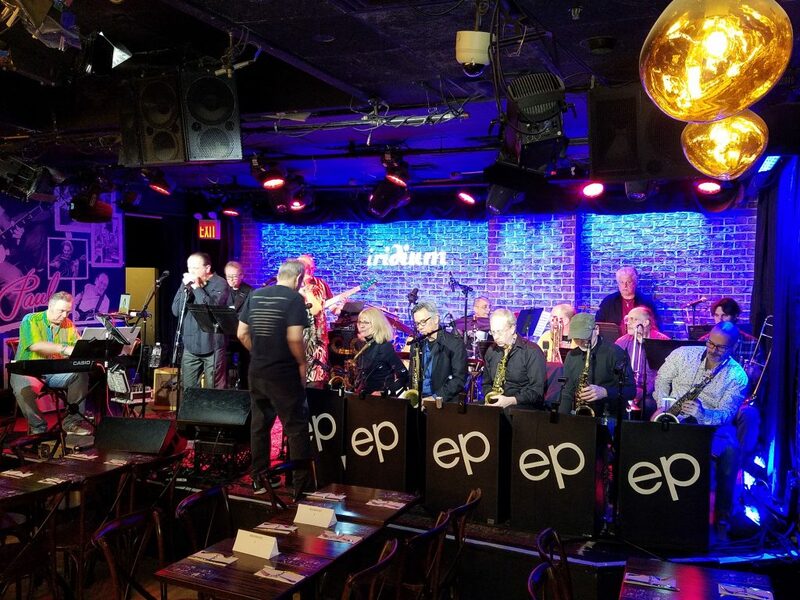 Rob lent some fabulous vocals and harp playing to many numbers during the show and Ed Palermo (who has a $26 burger named after him on the menu) energetically lead the band when he wasn’t playing the sax or joking about the aforementioned burger. What a great night!